After four years of legislative procedures, endless upstream lobbying by the fishing industry to try to prevent the French government and the European Commission from proposing a ban on deep-sea bottom trawling, an agreement has finally been found, this Thursday June 30th, between the three European institutions (Parliament, Council, Commission) sealing the reform of the deep-sea fishing regulation. On the last day of the Council’s Dutch Presidency, the three institutions have adopted a series of important measures for the protection of European deepwater ecosystems, including the prohibition of deep-sea bottom trawling in all European waters below 800 meters and a legally binding mechanism for the closure of areas where vulnerable marine ecosystems such as corals or sponges are known or likely to occur. The future European regulation will replace the weak and inadequate legislation dating from 2002, which still serves as legal framework for deep-sea fishing. The new European Union’s regulatory framework will live up to the provisions set forth by the resolutions adopted by the UN General Assembly on deep-sea fishing (see infographics). 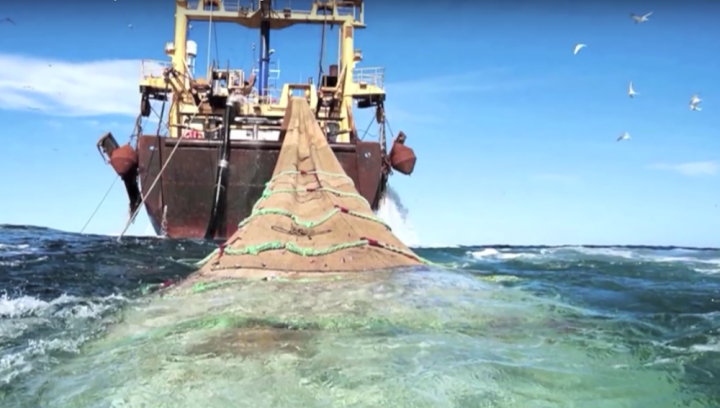 “BLOOM’s team has worked for more than eight years to ban deep-sea bottom trawling. The prohibition of this absurd, destructive and subsidized fishing method should have been adopted a long time ago but we had to deal with disinformation, lies, bad faith and dirty political manoeuvres by industrial lobbies and their institutional allies all along” says Claire Nouvian, founder of BLOOM. “Without the support of hundreds of thousands of citizens which put pressure on the main French fleet to stop deep-sea trawling, the EU would not have adopted this ban. We hope citizens realize that this victory is theirs and that without their mobilization and financial support, NGOs cannot work miracles. The ban is the most important measure of this regulation, it means the underwater deforestation taking place in the deep ocean without legal constraint will simply stop below 800 meters” estimates Nouvian. The threshold of 800 meters retained for the prohibition of deep-sea bottom trawling follows the thunderous campaign orchestrated by BLOOM against this fishing method, which was relayed by illustrator Pénélope Bagieu in an online comic that hundreds of thousands shared on social media. As a result, BLOOM’s petition against deep-sea trawling culminated with nearly 900,000 signatures and prompted retailers to stop selling deep-sea fish and the main deep-sea trawl fleet in Europe (the French retailer Intermarché’s fleet) to accept, in January 2014, to stop trawling below 800 meters. This is the depth that the Council, under Luxembourg’s Presidency, chose to propose the prohibition of deep-sea bottom trawling. Council adopted its position on November 6, 2015. The agreement reached Thursday, June 30 is the culmination of a “Trilogue” negotiation started eight months ago. Ms. Thomas’ way of handling the file eventually provoked the exasperation of shadow rapporteurs (each political group assigns an MEP to the “Trilogue” negotiation) who triggered a cancellation of the December 2015 tripartite negotiation in order to better monitor the process thereafter. “Without these MEPs, the regulation would have been sabotaged by industrial lobbies and Ms Thomas” notes Claire Nouvian. “Thanks to the crucial damage control done by politicians, to the extraordinary mobilization of citizens, and the will of Intermarché to steer clear from destructive deep-sea fishing, Europe took a major step to protect the deep ocean and the many endangered species it hosts” concludes Sabine Rosset, Director of BLOOM. BLOOM thanks the Deep Sea Conservation Coalition and The Pew Charitable Trusts without which this international campaign would not have been possible. Table comparing the current deep-sea legislation to the newly-adopted one. The 3rd column compares the future legislation to the framework established by the UN for the management of deep-sea fishieries on the High Seas (international waters).